269HDB-3U is based on the 269HDBU lighting stand modified to support your camera up to 7.3m (24 ft.). 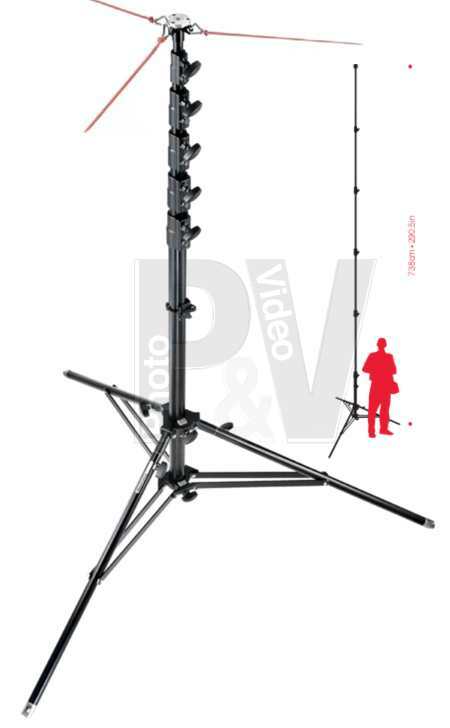 The special top attachment differs from the lighting stand in that it has a head mounting palte - as found on professional tripods - which permits you to attach a camera head, or directly attach your camera. It also features 3 attachment points for stabilizing. The base differs from the 269HDB in that it has a triple levelling leg system and a leveling bubble on the lower column.